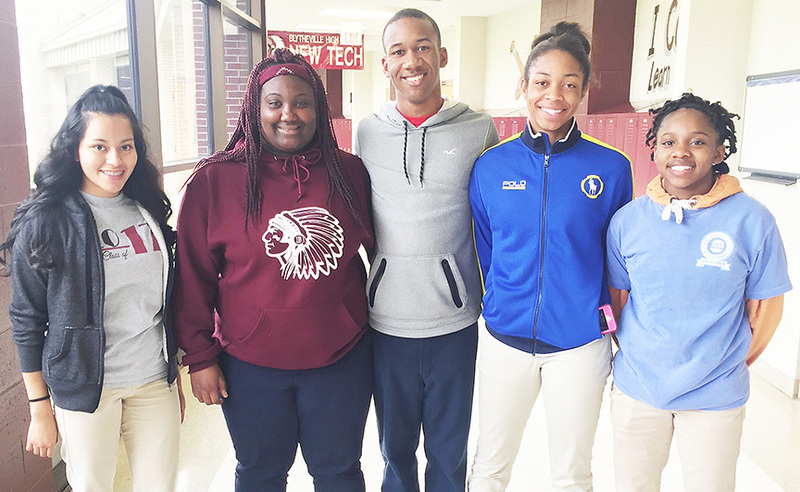 Six students from Blytheville High School were chosen this year as the first-ever Tobar Leadership Scholars, and will receive scholarships and/or all-expenses-paid trips to schools that Whiquitta Tobar spent several years at. Two seniors - Khrishona Hill and John Allen Guyton III - each received $500 scholarships. Two juniors - Marlene Soto and Timara Rogers - were each awarded an all-expense-paid college tour to Tobar’s alma mater, Alabama A&M University. And two freshmen - Cleotha Bell and Laurissa Campbell - each received an all-expense-paid trip to Philadelphia, Washington, D.C., and New York to tour Georgetown University, the University of Pennsylvania, Bryn Mawr College, Barnard College (Columbia University), Temple University and Howard University. Tobar, a 2008 BHS graduate, received her Bachelor of Arts degree in political science and philosophy from Alabama A&M in 2012. She graduated from the Georgetown School of Law in Washington with her Juris doctorate degree, and currently is a Zubrow Fellow at the National Juvenile Law Center in Philadelphia, where she does policy work. Tobar is funding the two scholarships and two regional college tours through her gofundme campaign at gofundme.com. Hill and Guyton’s scholarships will be used at the colleges and/or universities of their choice. Soto and Rogers will tour Alabama A&M in June, and Bell and Campbell will arrive in Philadelphia on April 27 and travel throughout the northeast, visiting the universities through May 1.